The Flash casts a villain’s father—and films a new villain. The next season of Supernatural will have a car-bound bottle episode. A comic about a time traveling Nikola Tesla is heading to TV. 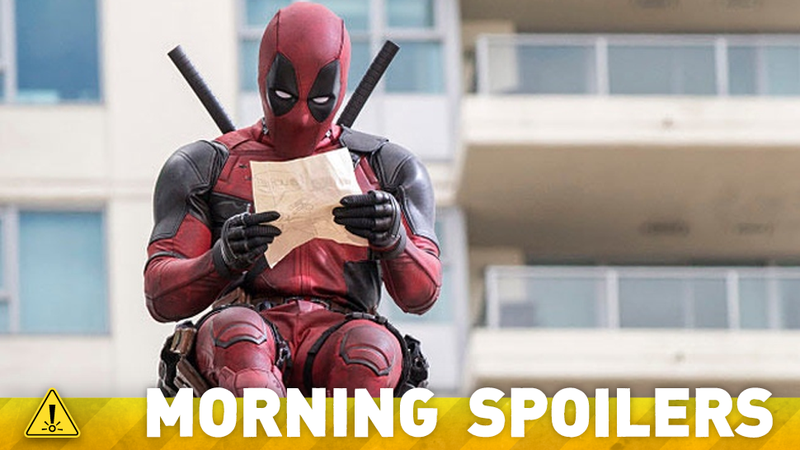 Plus, new footage from both Ant-Man and Fantastic Four, Bill Prady talks Muppets, and more. Spoilers Get! It’s certainly not your father’s or your younger self’s Casey Jones, but that’s because we meet him at a very different time in his development. He is not the Casey Jones that a lot of comic fans have come to know and love. He is a guy with a job that lives in New York and loves hockey. When things go awry, [and] when he goes through the normal methods of what someone would do when they’re [a] law-abiding citizen and he’s met with laughter and scorn... he decides to take things into his own hands. Two new clips have been released—in the first, Scott Lang shows up uninvited to his daughter’s Birthday, and in the second, Ant-Man goes on the attack at Pym Technologies. Additional reporting by Gordon Jackson and Charlie Jane Anders. Top image: Deadpool.